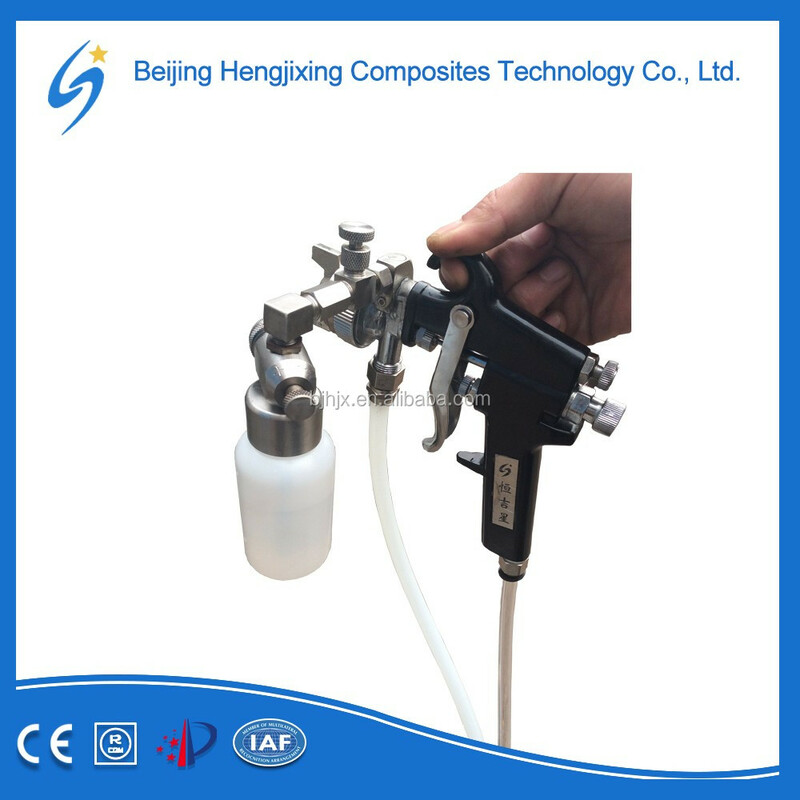 The external mixed gelcoat spray gun is a lightweight, hand held, plural component spray gun for spraying application of two-component materials, such as gel coats or polyesters. The “base” resin is “cured” by addition of catalyst in a required ratio. The externally mixed gelcoat spray gun needn’t mixed the gelcoat and catalyst in advance, they will be automatic mixed when you spray it. So you needn’t afraid the problem of gelcoat curing like a inner mixed spray gun. 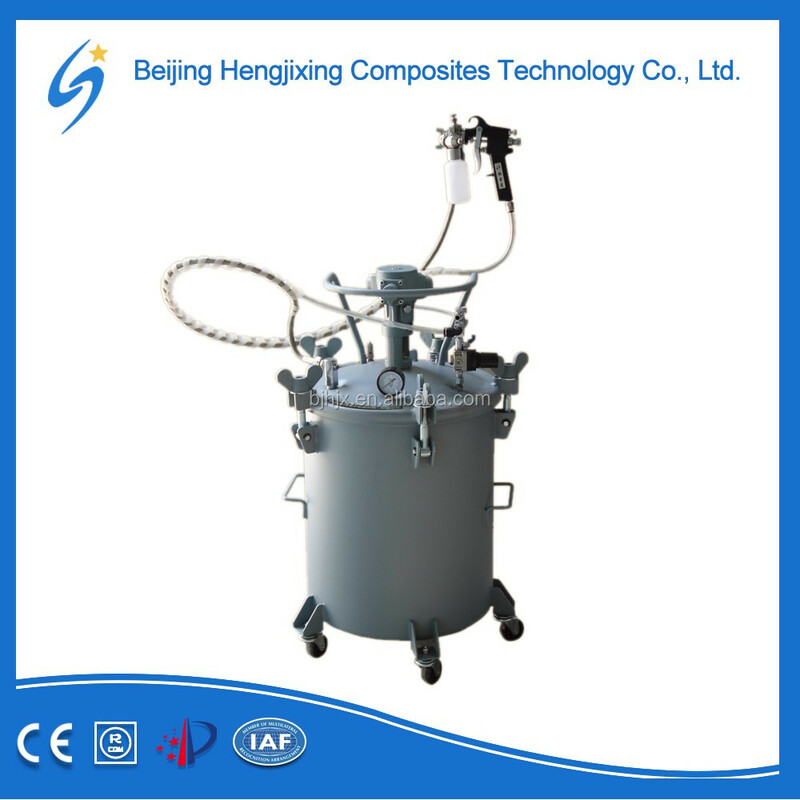 It can be used to be spray the spray resin or other spraying liquid. 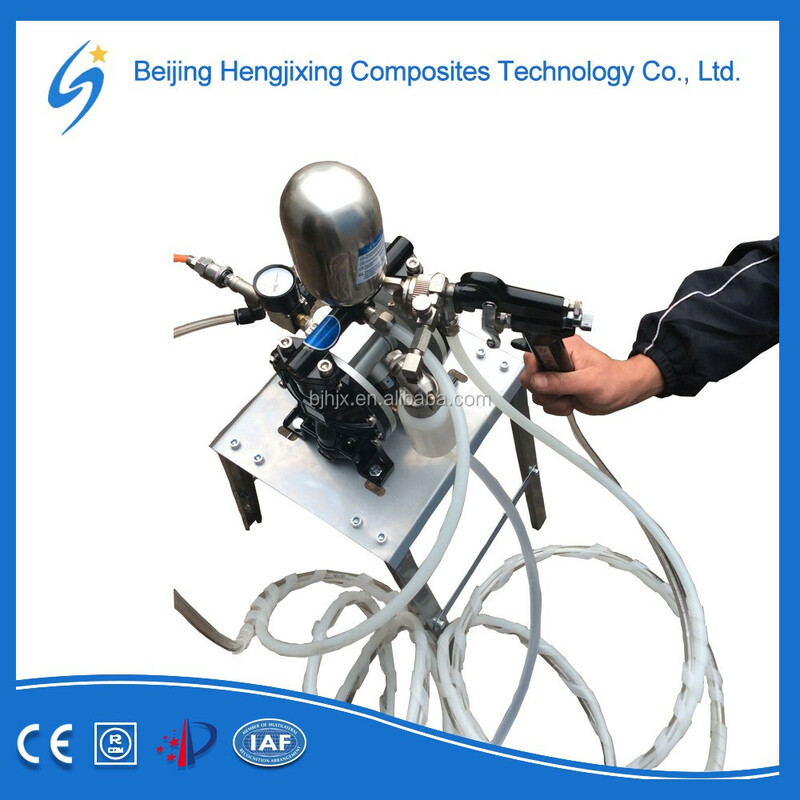 The spray gun is operated in a conventional manner. 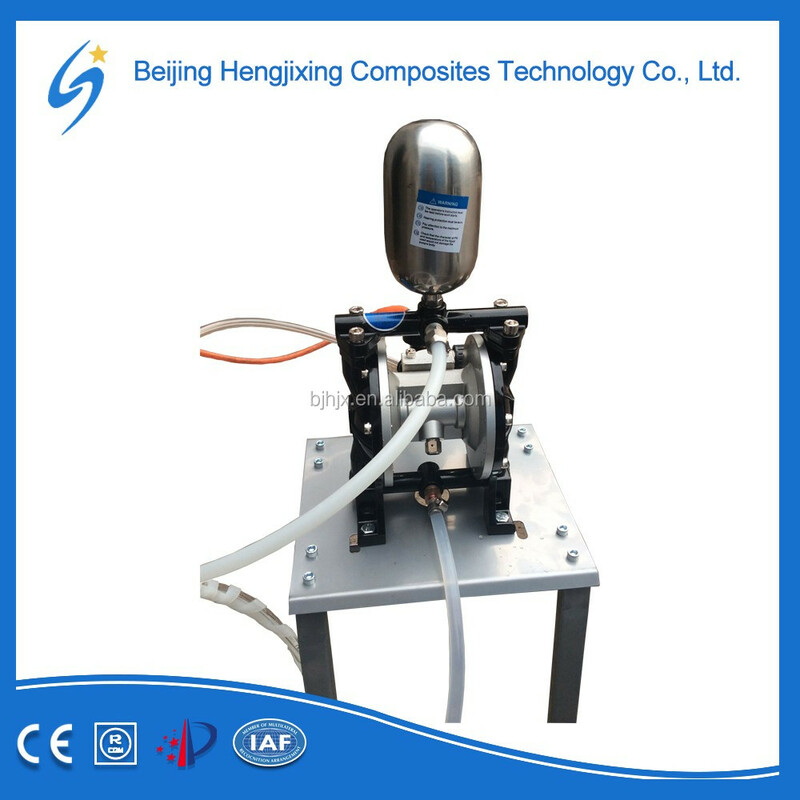 The trigger action starts and stops, the spray of both materials simultaneously. The two materials exit separately as an atomized spray from their respective nozzles and impinge on each other at the point of approximately six inches in front of the gun (resin) nozzle. Here, the resulting turbulence insures intimate mixing. 3. Accurate adjustment of catalyst percentage ensures the parts cured at the desired rate. 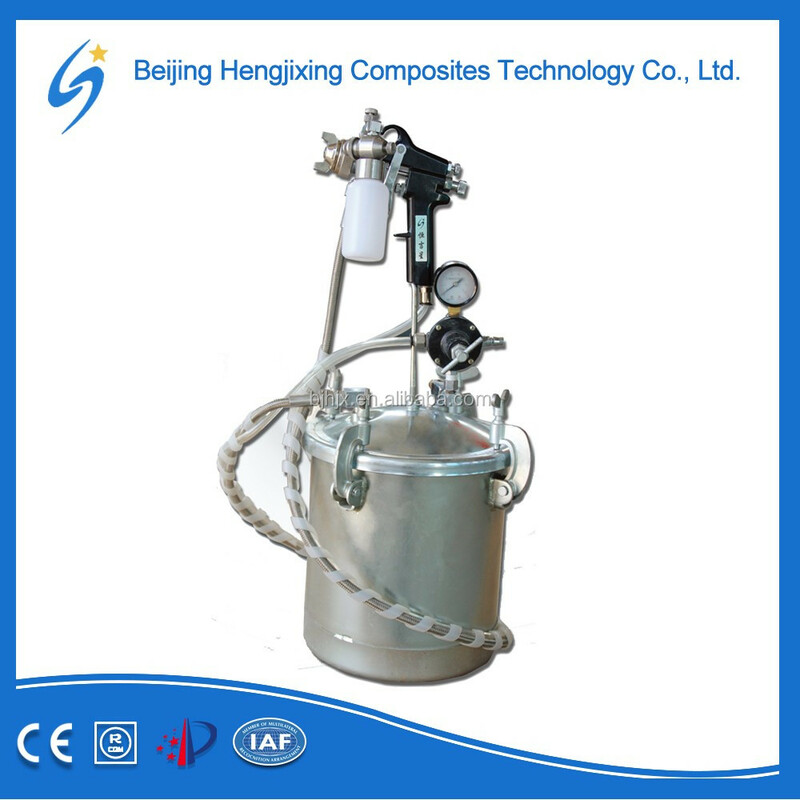 The catalyst is supplied from a siphon container assembly, mounted directly on the gun. Air diverted from the gun handle passes through the air adjusting valve to the nozzle body providing the siphon action and serving as atomizing air for the catalyst. Screw the controllers of fluid and air to adjust the flow of catalyst. 4. Auto mix. 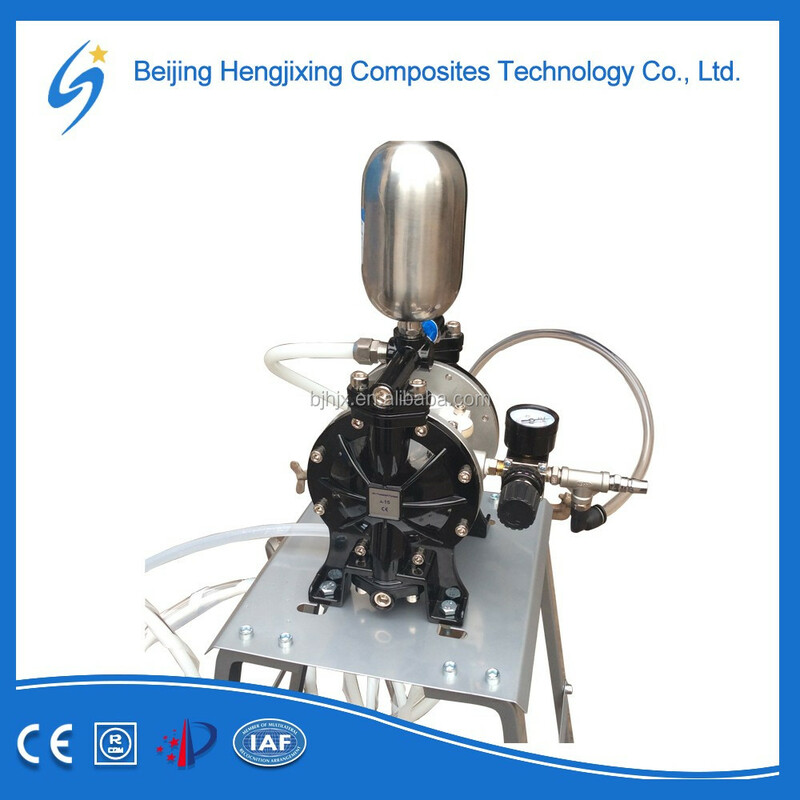 The pneumatic mixer head ensures intimate mixing. 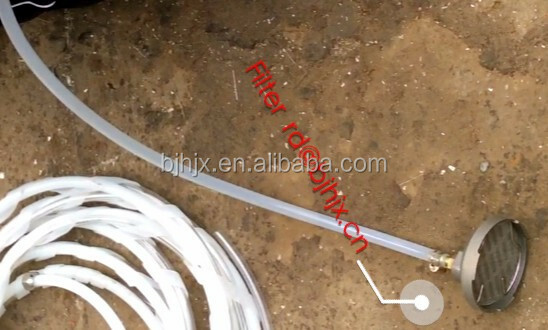 Pot Volume:10L, 40L, Diaphragm pump; another size can be customized. 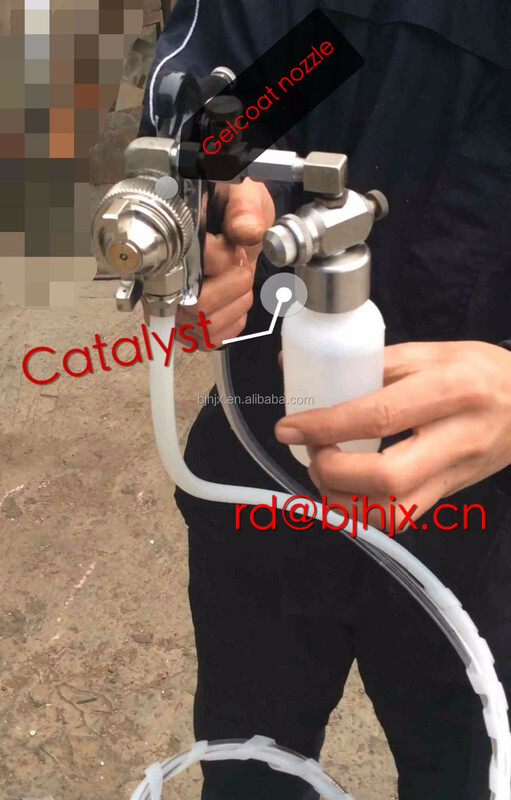 This entry was posted in Spray Gun Mfg and tagged External Mixed Gelcoat Spray Gun (three Choices), High Quality Gelcoat Spray Gun, Polyester Spray Gun, Resin Spray Gun.